Ventura Press’ August 2018 title A Superior Spectre by Angela Meyer has been shortlisted for two literary awards the past week. The novel, which is a unique blend of science fiction, futuristic dystopia and feminist issues, has been shortlisted for the Aurealis Award for Best Science Fiction Novel 2018, and for the MUD Literary Prize 2019. This comes following the acquisition of UK Rights to Angela’s novel by Saraband Publishing – set to release in Scotland soon. You can buy A Superior Spectre online or from any good booksellers. Caroline Van de Pol, author of Back to Broady, will be holding an author talk next week to launch ‘The Margaret Egan Young Writer’s Award’ named in honour of her late sister. The award has been established to commemorate her sister’s life, and to support a young person (aged 15 to 18 years) in order to pursue their passion for writing. Van de Pol hopes the award will honour her sister, who passed away tragically at the age of 25, and the love her sister had for the Arts. ‘Writing helped her during difficult periods as she lived with the challenges of schizophrenia and overwhelming grief following the early death of our parents.’ Van der pol elaborated. Prize money to the value of $1500 will be distributed between two winners, categorised into two age brackets. 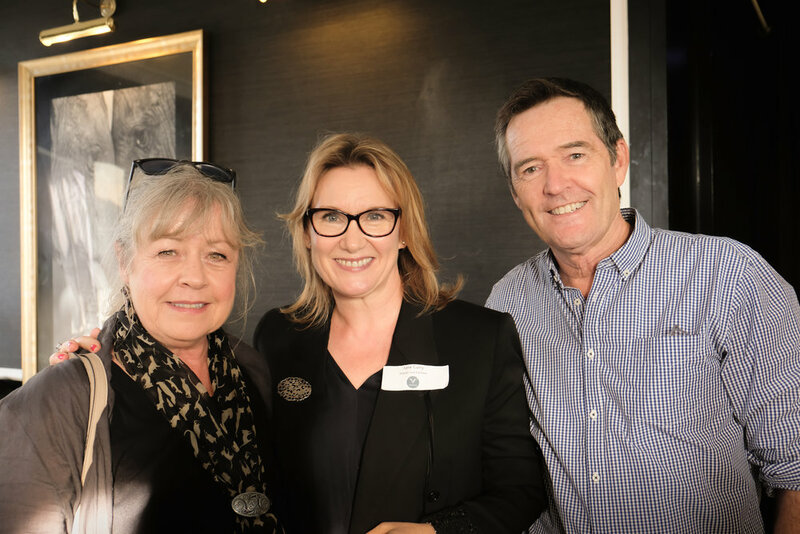 The prize is funded and administered by Caroline van de Pol herself, and she has been working closely with Writer’s Victoria to develop the award which will be announced as part of the Broadmeadows Festival program in April next year. Workshops to mentor and aid young writers in preparing their submission will be held on Tuesday 9 and 30 October at the Council Chambers downstairs from Broadmeadows Library. Caroline wishes to offer the same level of support she has received over her many years as a writer to anyone aspiring. 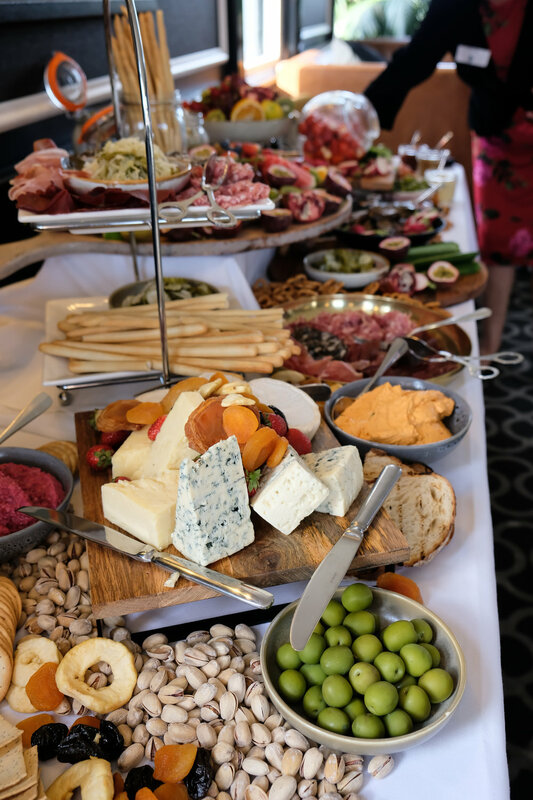 With a focus on community the winner(s) would also be promoted to highlight the positive aspects of the diverse community of the Broadmeadows region, celebrating the contributions of young people committed to achieving their best. The Author Talk to launch the inaugural Margaret Egan Young Writers Award will be held on Friday 14 September at 11am at Broadmeadows Library. Neon Pilgrim is now an audiobook, and we're giving away TWO free copies! Lisa Dempster's Neon Pilgrim has been released as an audiobook on Audible, and to celebrate we're giving away TWO free copies! We're wrapping up 2017 as a Nielsen Heatseeker! We knew we were good but now it’s official! Today is our last day at Ventura for 2017 and champagne is at the ready to celebrate our brilliant year. We end the year being named an Indie Heatseeker by Nielsen BookScan for most improved sales in the sector. So, what did we do in 2017? We published engaging diverse stories from the very best Australian authors. Think Dr Simon Longstaff’s Everyday Ethics, Lisa Dempster’s Neon Pilgrim, Professor Gordon Parker’s In Two Minds and ended the year with a new B-format edition of Katherine Johnson’s wonderful The Better Son. 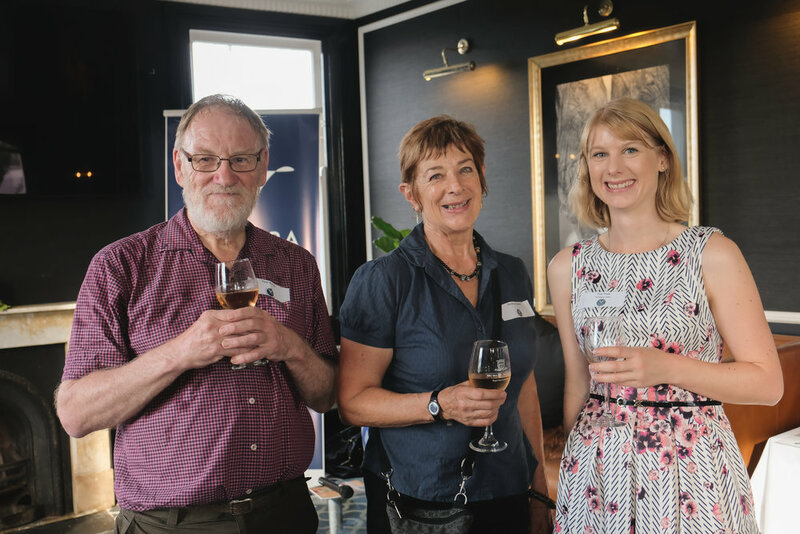 A highlight for me was the launch of Peter Bishop Books in May – curated by the national living treasure Peter Bishop (ex-Varuna). It is an absolute honour to know Peter and to publish Caroline van de Pol and Nick Gleeson, our first two authors published on the new imprint. Charlotte Wood launched the list for us at Gleebooks with a very moving speech. A PB for me. After a soft launch in 2016 we launched our new imprint Impact Press – which showcases start up authors and diverse stories. The launch title Escape from Berlin by Peter Nash sold out on release. Booksellers loved our beautiful covers and the media engaged with our authors in authentic and meaningful ways. Our inaugural trip to the Beijing Book Fair was a parenting-book sell out and Amazon’s Audible loved our list and bought up big. Add the professionalism of our distribution partner Simon and Schuster Australia and you have independent publishing at its best. So take a break now to enjoy Christmas and the long shimmering days of summer in Sydney. We will be back on 8 January to see our 2018 list go out into the world. Watch out for Paul Harris’ Odd Boy Out – an intimate family history bridging England and the Antipodes, the arresting memoir Girl Over The Edge by Kim Hodges and Angela Meyer’s stunning debut novel A Superior Spectre. Oh and don’t miss out on the colonial family history Convicted by Peter Bradley for Father’s Day. So that’s a wrap from Ventura. We wish you all a happy Christmas - see you in the new year. The Many Ways of Seeing has been added to the Vision Australia Library! 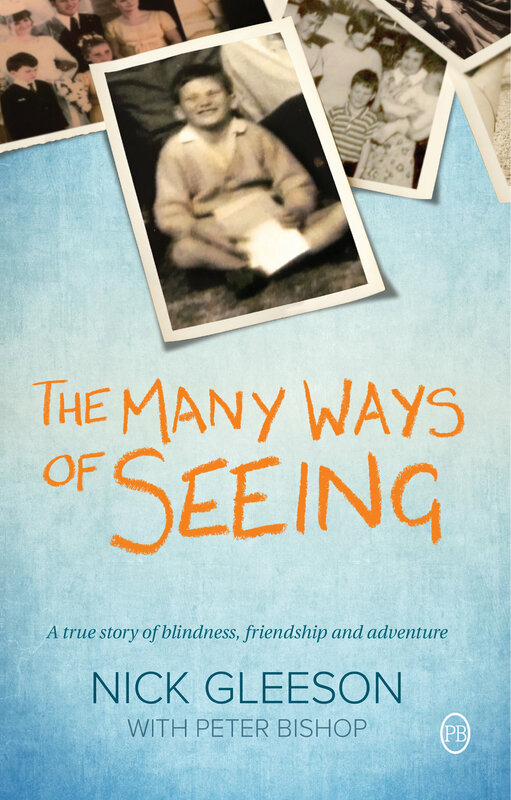 We are thrilled to share that Nick Gleeson’s wonderful memoir, The Many Ways of Seeing, has been added to Vision Australia’s online library. The Vision Australia Library opens up a world of information to people who are blind, have low vision, or a print disability by providing free access to thousands of audio books, magazines, newspapers and podcasts. Jane Curry, director and publisher of Ventura Press and director of the Australian Publishers Association (APA), recently attended the APA Marrakesh Treaty Forum, which looked at strategies to make print material accessible to people with a print disability. “Through working with the participants at the Marrakesh Treaty Forum I realised how vital it is that vision impaired persons have equal access to published books. How wonderful that Nick Gleeson’s The Many Ways of Seeing has been added to the Vision Australia Library,” Jane says. We are thrilled to announce that Katherine Johnson’s award-winning Tasmanian novel The Better Son will be released in B-format in December, 2017. This is a fantastic result of the ongoing success of the novel, which was originally released in October 2016. The Better Son is a richly imaginative and universal story about the danger of secrets, the beauty in forgiveness and the enthralling power of Tasmania’s unique natural landscapes. We are so pleased with the books success and the excellent praise it continues to receive. This is an amazing achievement for Katherine and her novel The Better Son. Be sure to pick up a copy in-store or from our website here. RRP $19.99. 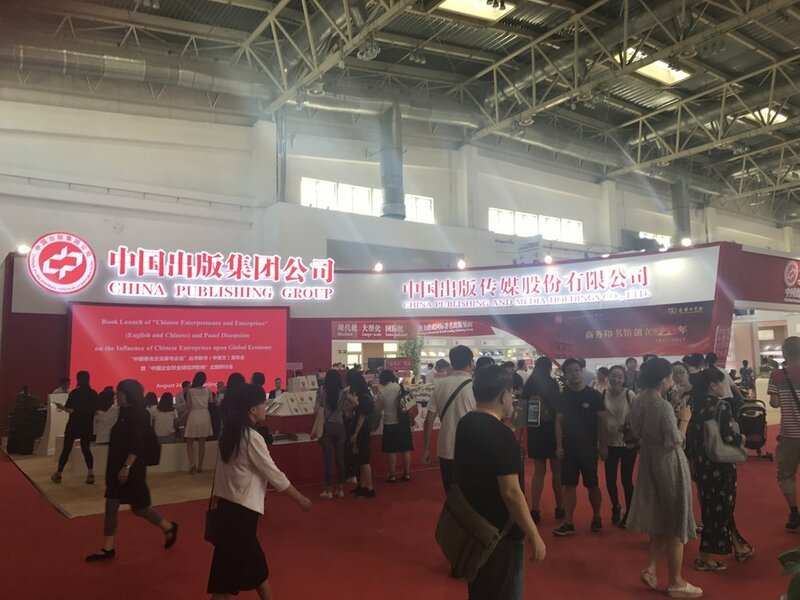 Jane Curry, Director of the Australian Publishers Association and Director and Publisher of Ventura Press, reflects on her first Beijing Book Fair. Paul Keating had it right – we are an Asian nation. Having spent many years travelling the world for my publishing business, I have just returned from my first visit to Beijing and am an evangelist for the pivot to China. The Beijing International Book Fair (BIBF) is now in its 14th year and in my capacity of Director of the Australian Publishers Association, I headed a delegation of five independent publishers on our very first Beijing outing. And I am pleased to report our inaugural visit was a resounding success. Why has it taken so long to discover our neighbours? The English language publishing business is run across empire lines. Books are ‘sent’ from one heart of this empire, the UK, to the colonies as export sales. It was only recently that literary agents actually split ANZ rights from UK. On the other side of the Atlantic, American rights are traded independently of the UK. Consequently, the English language publishing industry has traded as a UK/US alliance viewing translation markets as a secondary market, often prioritising Europe over China. Publishers trade in intellectual property. We sell ‘rights’ – the right to publish a book in a specified market. The book is translated by the local partner and published into the market under their imprint. The Frankfurt Book Fair, held annually in October, is the global behemoth of rights fairs. You are really not in publishing unless you are at the Frankfurt Book Fair. English language sales, German language, and European and South American markets dominate, while the Asian markets (which the UK calls the ‘Far East’) are seen as second tier. The relative new Beijing Book Fair refreshingly showcases a world not dominated by the major European or US players. The Chinese publishing market is mature, profitable, self-sustaining and now export-oriented. According to the China Publisher’s Yearbook, more than 444,000 titles are published annually, resulting in a $12.4bn industry in China, the largest in the world after the US. Rising disposable incomes and the fast-growing Chinese middle class have created new market opportunities for many segments. For example, with the lifting of the one-child policy, 3 million babies are born every year resulting in 370 million Chinese under the age of 18. So, as you can imagine, parenting is a booming genre. Although the Chinese book market has liberalised significantly in the past 20 years, publishing remains one of the country’s most tightly regulated industries. All of the 582 official publishers are state-run, with private publishers officially banned. People were amazed that I privately owned my own publishing business. I was even asked how I managed motherhood and business. It is clearly a question that resonates in every market. I met with my existing contacts and made many new ones. The Chinese are keen to trade, export their unique culture through their own books whilst translating our books into their lists. Unlike the Australian publishing industry, they revere longevity and backlist bestsellers. Many of the younger generation publishers spoke English so the language barrier is workable, although we did have a translator with us as backup. I returned completely invigorated that as an independent Australian publisher we have accessed the booming Chinese book market with our own intellectual property, and with much more business to come – and all with no jet lag. On Wednesday 9 August, an usually warm Melbourne winter evening, an impressive group of fellow writers, family and friends gathered at Readings Carlton to celebrate the launch of 'companion' memoirs from the newly established Ventura Press imprint Peter Bishop Books - Nick Gleeson's, The Many Ways of Seeing, co-authored with Peter Bishop, and Caroline van de Pol's, Back to Broady. Caroline and Nick grew up next door to each other and lived side by side for nearly twenty years in the working-class suburb of Broadmeadows. They have remained close friends and have produced very different memoirs about family and friendship with stories both intertwined and quite separate. A ‘cathedral of books’ was how Peter Bishop described the venue of Readings Carlton, for vision impaired members in the audience, and he went on to describe the ‘sea of faces’ for Nick Gleeson and his brother Maurice, who are both totally blind. Peter then read from The Many Ways of Seeing and spoke with Nick about his most recent adventure, crossing raging rivers in the remote wilderness of New Zealand. Caroline then read from Back to Broady. Readings agreed it was a full house and one of the largest events they had hosted. This only inspired Maurice Gleeson, OAM, who officially launched the books and spoke about the significance of companionship in our lives. 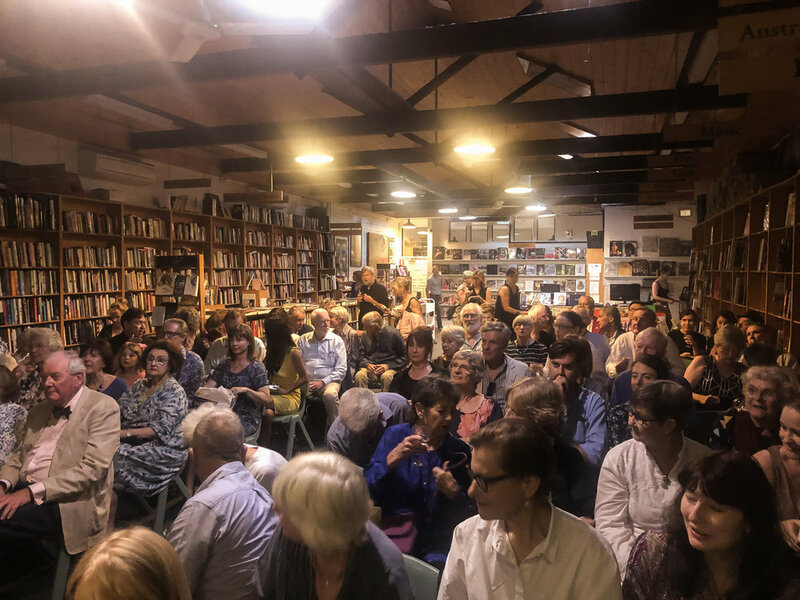 A huge thank you to everyone who came and supported Back to Broady and The Many Ways of Seeing, Maurice Gleeson for launching the books, Patti Green for taking these amazing photographs, Readings Carlton for being excellent hosts and a huge congratulations to our amazing authors, Caroline van de Pol, Nick Gleeson and Peter Bishop. Peter Bishop and Ventura Press director and publisher, Jane Curry. Maurice Gleeson, Caroline van de Pol, Nick Gleeson and Peter Bishop. Long-time friends and authors Caroline van de Pol and Nick Gleeson. Peter Bishop reads from the book he co-authors, The Many Ways of Seeing. Nick Gleeson and Peter Bishop talk about The Many Ways of Seeing. Caroline van de Pol reads from her book Back to Broady. Nick with his friend and guide dog Unity. Maurice Gleeson OAM, brother to Nick and long-time friend of Caroline's, officially launches Back to Broady and The Many Ways of Seeing. The van de Pol and Egan families celebrating Back to Broady with Caroline. Ventura Press, one of Sydney’s leading independent publishers, is delighted to announce it will be publishing Lisa Dempster’s debut memoir, Neon Pilgrim, on 1 August 2017. Neon Pilgrim is Lisa’s refreshingly honest and inspiring story of walking back to health on the henro michi, an arduous 1200-kilometre Buddhist pilgrimage through the mountains of Japan. First published in 2009 by Aduki Independent Press, the book received limited distribution across Australia. “The opportunity to republish the remarkable Lisa Dempster’s Neon Pilgrim is the highlight of our 2017 list,” said Jane Curry, director and publisher of Ventura Press. Lisa Dempster, the artistic director and CEO of Melbourne Writers Festival, said she is a firm believer in the importance of independent publishing, and is thrilled to be working with Jane Curry to bring Neon Pilgrim back into print. “It's been a rewarding process to work with her visionary and supportive team at Ventura Press to reimagine my memoir for a new audience,” she said. 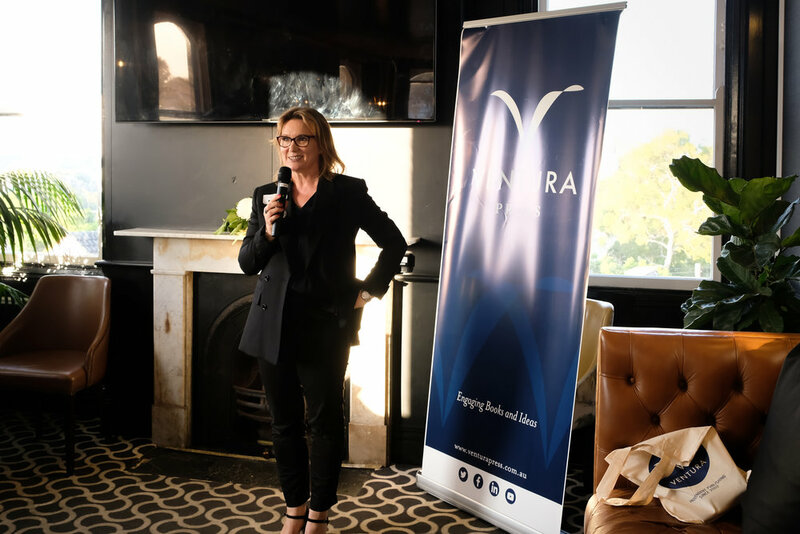 Appealing to fans of Wild by Cheryl Strayed and Tracks by Robyn Davidson, Lisa said anyone who has ever been at a crossroads in their life will appreciate her memoir, and hopes it will continue to open up the vital conversation around women and mental health. “And of course, I hope it encourages adventurous-minded women to hit the trails – if I can do it, anyone can!” she said. Lisa Dempster is the artistic director/CEO of the Melbourne Writers Festival. Previous roles have included Asialink fellow at Ubud Writers & Readers Festival, Director of the Emerging Writers' Festival, founding director of EWFdigital (now Digital Writers' Festival) and publisher at Vignette Press. Lisa has travelled widely in search of literary and other adventures.